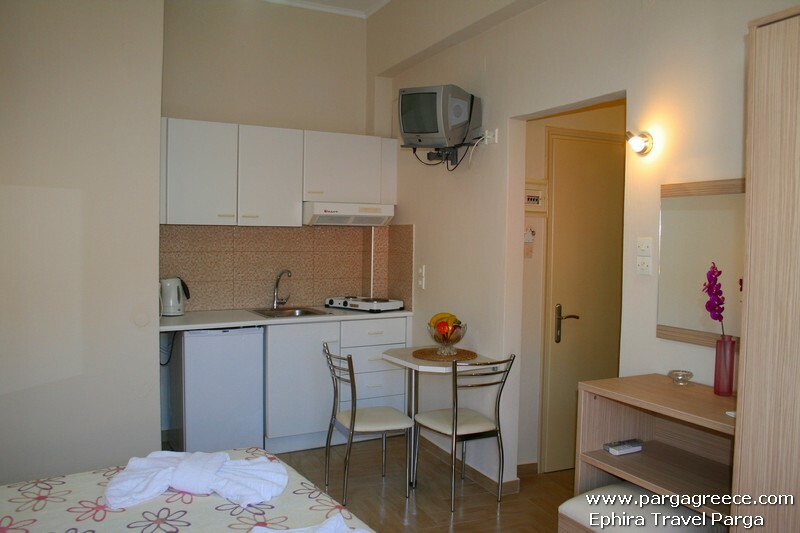 These newly built apartments(Only twο Apartments) and the renovated Studios (in 2013 )are situated just few meters away from the two centra beaches of Parga(Kryoneri and Piso Kryoneri beaches) and also 150 meters away form the Historical centre of Parga.The two large family Apartments are on the third floor and only a few metres away from both central beaches of Parga,( Kryoneri beach and Piso Kryoneri beache). 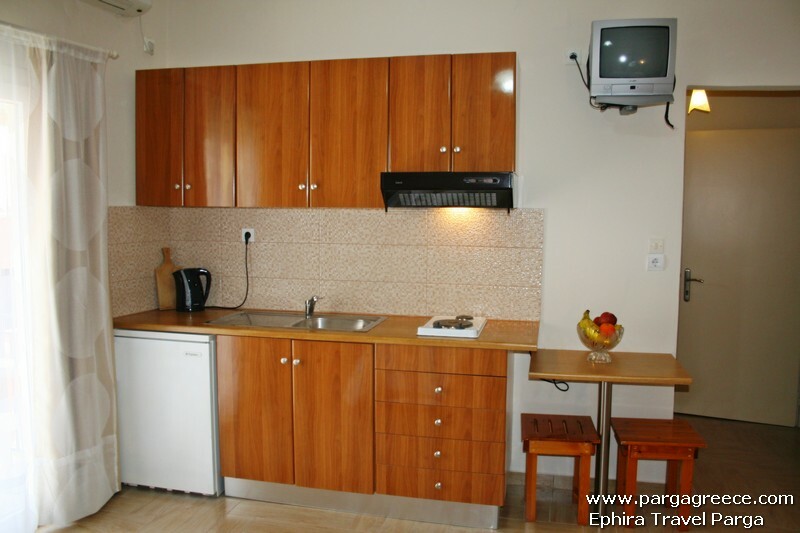 Both apartments and also the 6 Studios offer to all guests an accommodation with High standards. 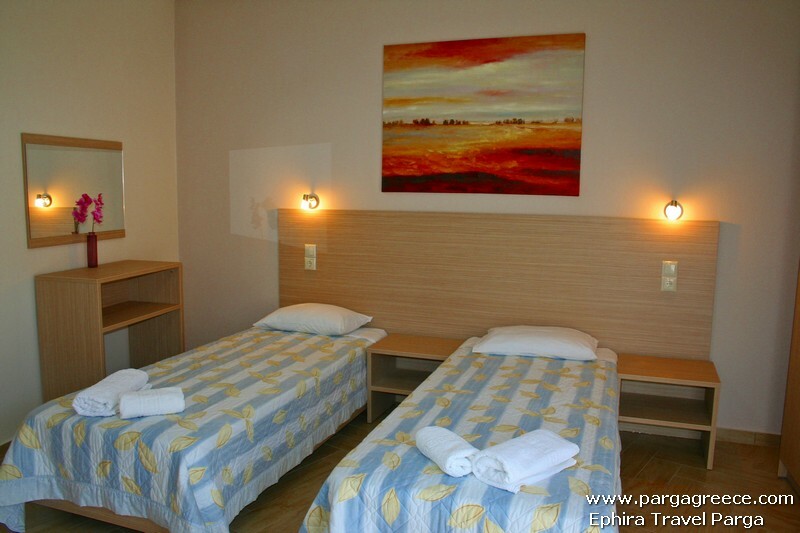 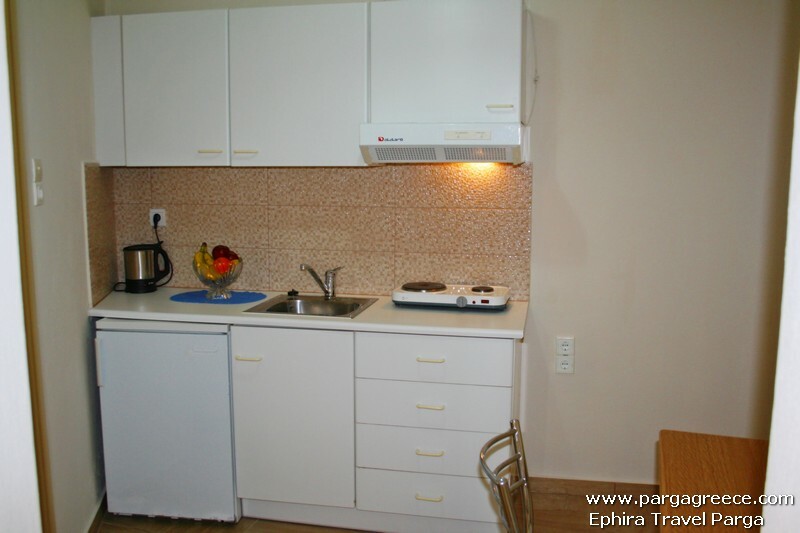 Each Apartment is ideal for two couples or a family consisting of four /five persons. 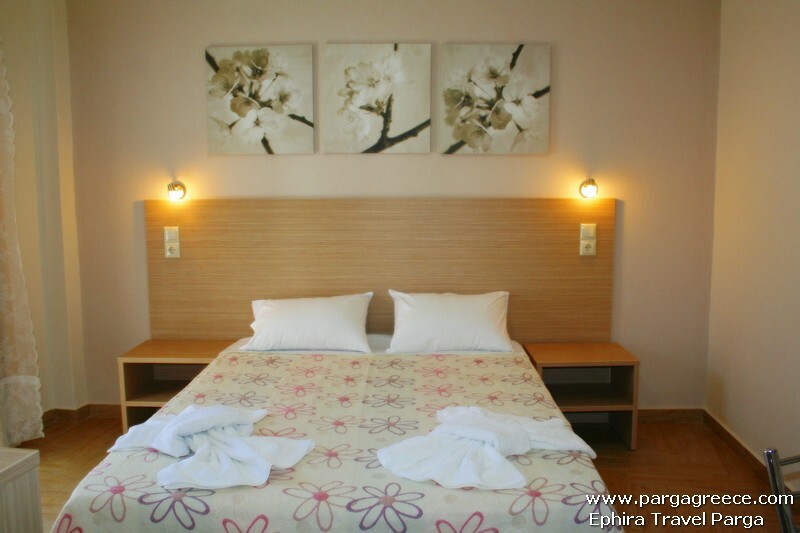 Each apartment consists of two separate bedrooms, a separate and fully equipped kitchen/living room, a large private and very clean bathroom, big balcony with views over looking Parga, air-conditioning and ,television. 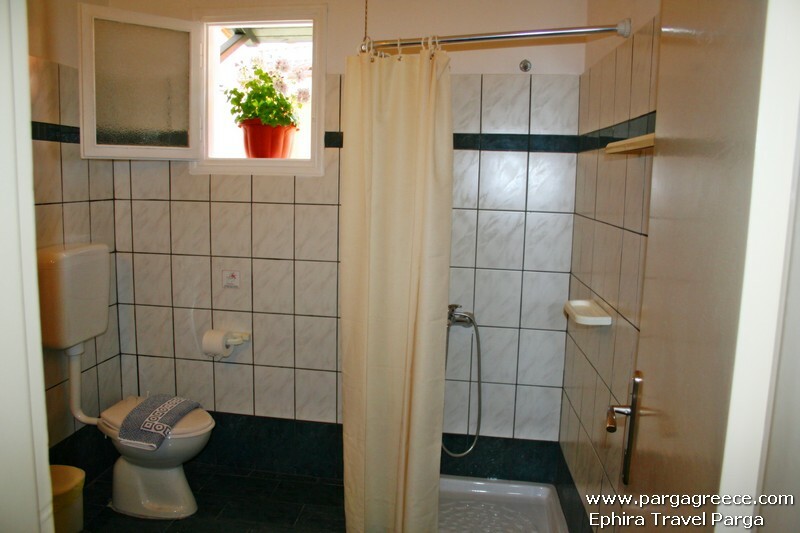 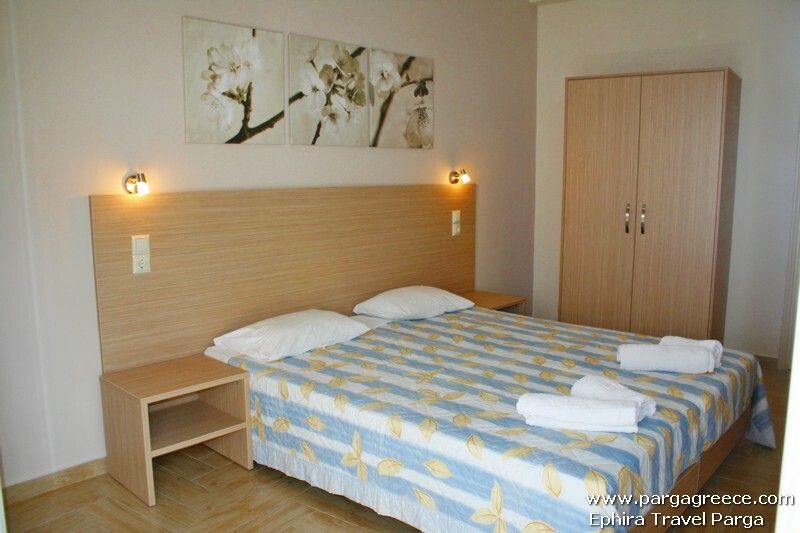 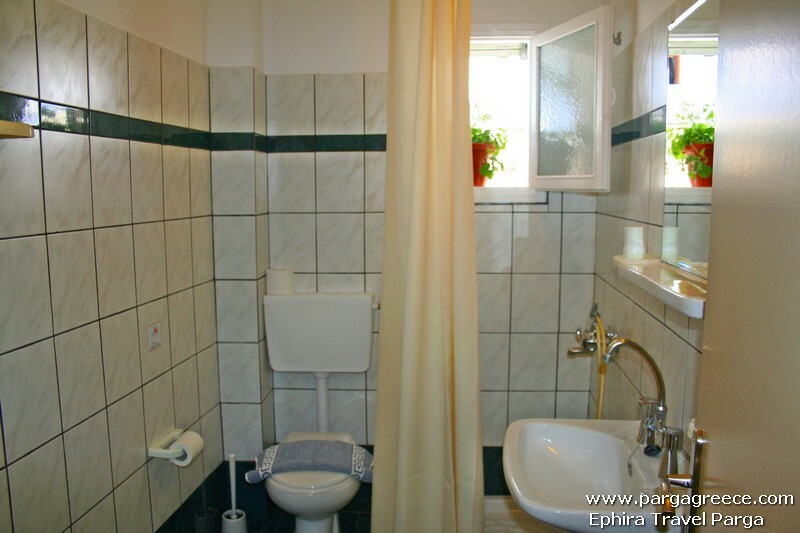 Both apartments are large and very comfortable for 4/5 persons. 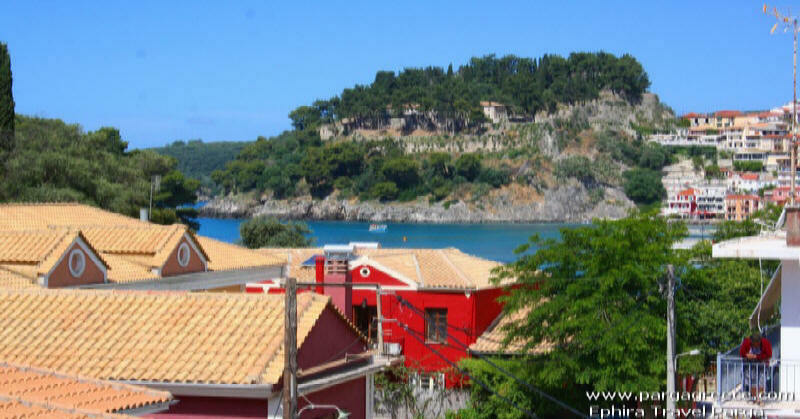 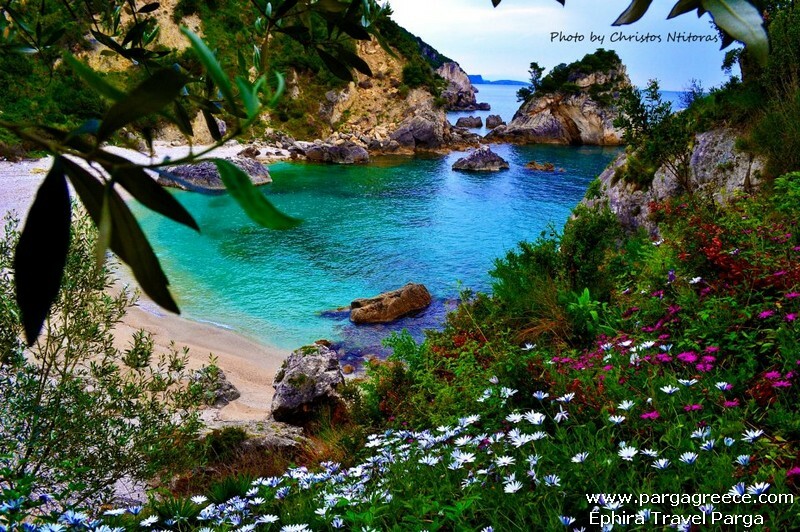 The 2 Apartments and also the 6 Studios are ideal for all guests they prefer to stay close to the beach and only few meters from the center of Parga.